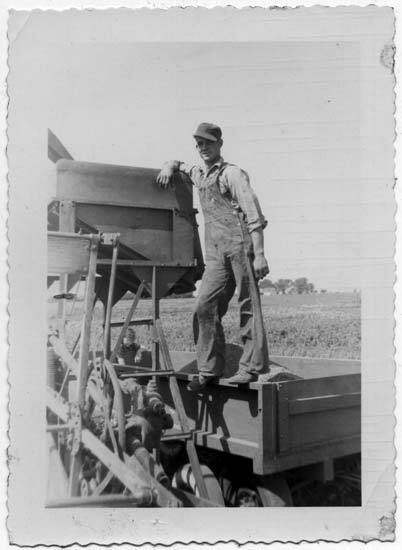 Lafayette County, Missouri; 1936. From the Fiegenbaum-Gerber family; all rights reserved. Lafayette County, Missouri; c.1943. From the Fiegenbaum-Gerber family; all rights reserved. 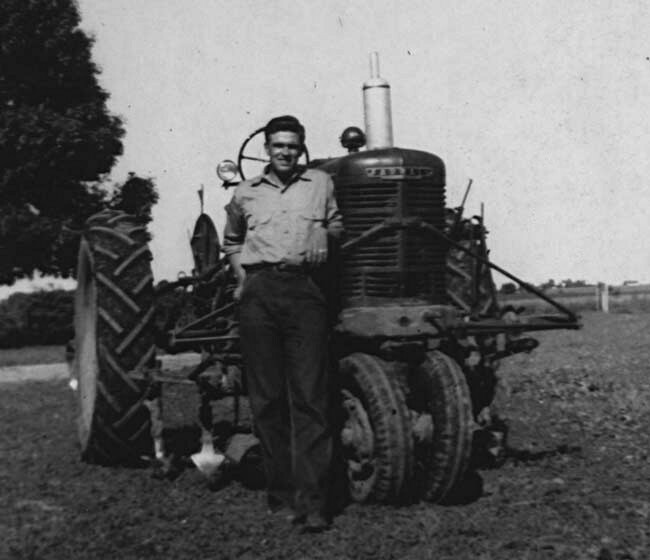 J. W. Fiegenbaum & Farmall M tractor. 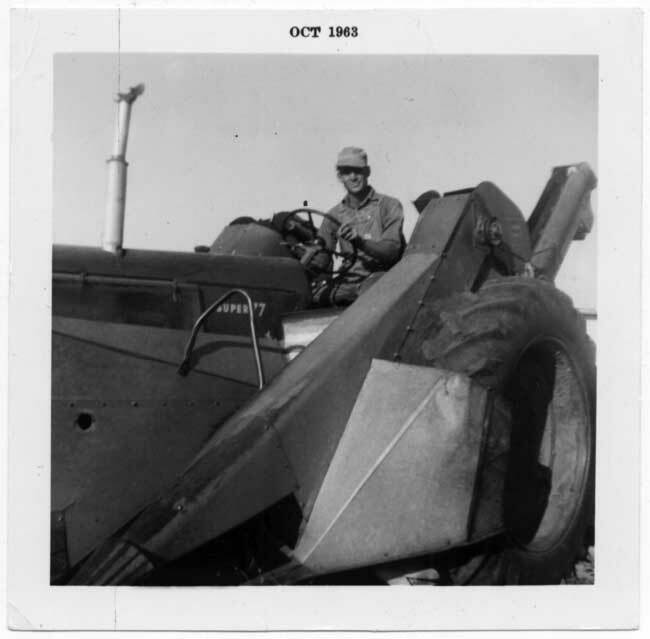 J. W.'s family purchased this tractor about 1943. 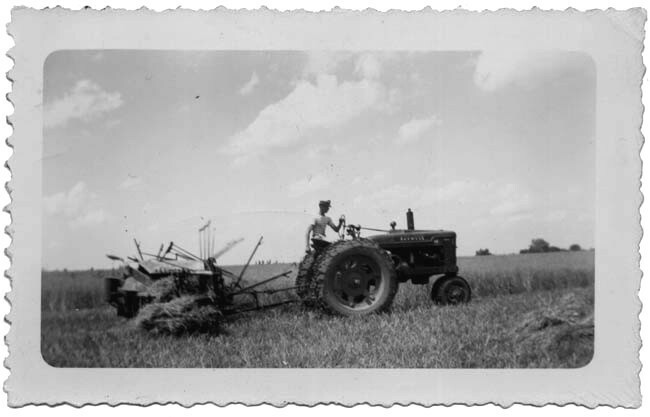 This photo was taken on the Douthitt Road farm, southwest of Higginsville, Missouri. Lafayette County, Missouri; c.1945. From the Fiegenbaum-Gerber family; all rights reserved. 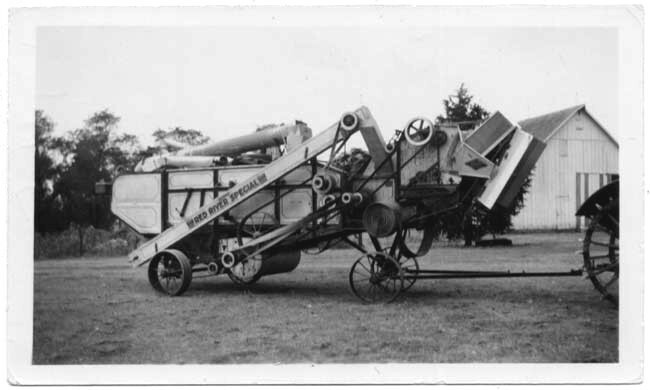 with a John Deere binder, around 1945. 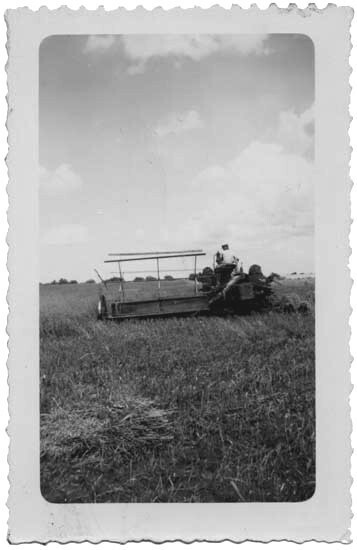 Henry Martin Fiegenbaum at work in the fields. Lafayette County, Missouri; c.1945. From Fiegenbaum-Gerber family; all rights reserved. It appears that Henry and his young helper (at the other end of the wagon, partially hidden by the combine) have been harvesting corn. 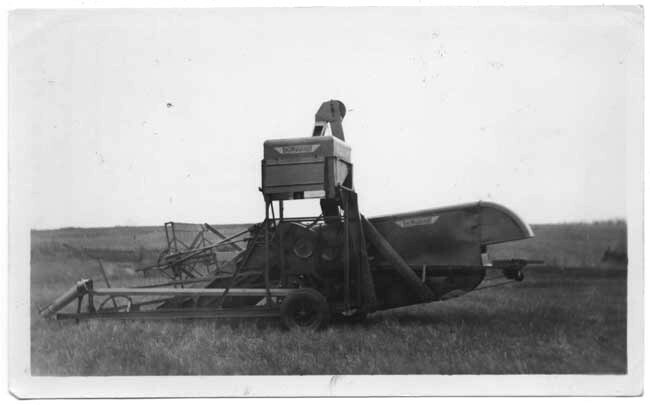 I think the next photo is a picture of the same combine. Lafayette County, Missouri; c.1963. From the Fiegenbaum-Gerber family; all rights reserved.